You can view the map of Manuel Antonio / Quepos on the following link: http://www.crmaps.com/manuel-antonio-quepos.html. You can also find a variety of accommodations along the way between Quepos to Manuel Antonio, where you can choose from hotels, apartments, luxury bungalows, condominiums, eco-lodges, family cottages, cabins and many other options that can set your budget. The bus from San Jose to Quepos, a one way or round trip, leaves at the Mercado La Coca Cola (a block of small stores of vegetables, fruits, meats, seeds, and others); inside you have to buy your travel ticket. We recommend buying your ticket in advance. The Manuel Antonio National Park is the most important goal of the area; it is rich in flora and fauna, which have a recorded 352 species of birds, 109 species of mammals. In the park there is also luscious, beautiful marine life. In the area it is common to see species of birds like the toucan, pelican, the Chocuaco, osprey, green kingfisher and chirincoca. It is also possible to observe iguanas, lizards and snakes. The most important mammals are the raccoon, sloth two and three fingers, the white-faced and Titi monkeys. Some of them are nocturnal. Even though it is one of the smallest national parks, Manuel Antonio National Park is the most popular and visited in Costa Rica. 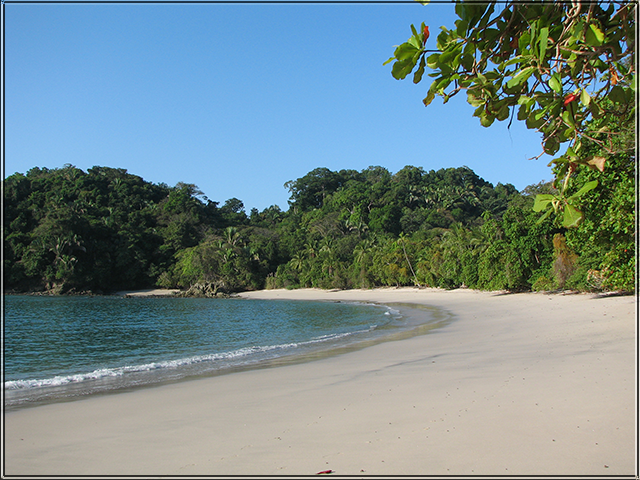 Manuel Antonio is often regarded as one of the most biodiverse parks in the world. Its four beaches are perfect for snorkeling, swimming and sunbathing. For hikers, there are many well-marked trails to explore. The Manuel Antonio National Park is open Tuesday to Sunday from 7:30 am to 4 pm. Any trip to Quepos is not complete without fishing. The coastline is home to many fish, including marlin, sailfish, snapper, amberjack, wahoo, Dorado, yellowfin, big eye tuna, and rooster fish. Fishing lovers can fish near the shore or offshore. The fishermen will get benefits from the bilingual guides, who will take you to the best fishing spots. Very close to the entrance to Manuel Antonio National Park, you will find this perfect public beach to spend a quiet day with the family. Here you can enjoy various outdoor activities. There are lifeguard stands, but note that there are strong sea currents. 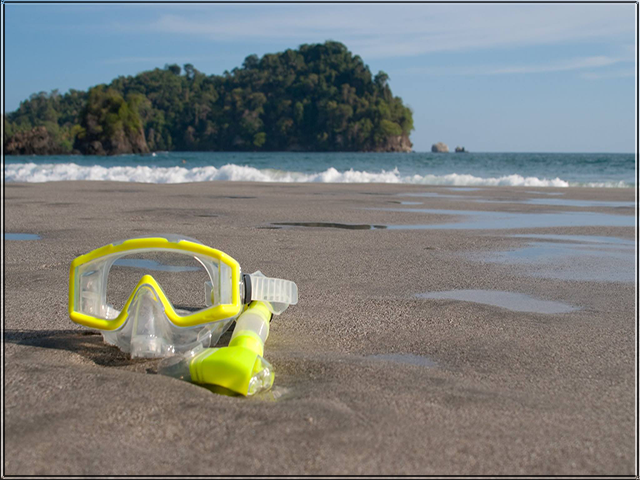 If fishing is not your forte, do not hesitate to enjoy a variety of adventures near Manuel Antonio / Quepos and you can book a tour to explore the forest canopy, horseback riding, snorkeling, canyoning, kayaking or do rafting. You can take a surf course or just watch surfers. If you want, practice swimming or diving and see beautifully colored fishes everywhere. You could decide to do a catamaran tour, take tours in all-terrain vehicles (ATV Tours), bike tours, bird watching tours; the options are limitless. High season is from December to April, when it is the summer time. The peak fishing season runs from December to August, several days in March and April can be very hot, and September brings a lot of rain. However, if you are looking for more time off, from May to November the beaches are less visited, which will help you to better appreciate the natural beauty of this country. Do not forget to visit Manuel Antonio / Quepos any time, and share with Pura Vida people and enjoy the usually spring weather in this paradise.